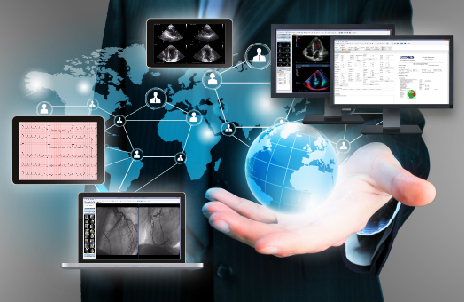 ComPACS is a web enabled, complete, multi-modality, vendor neutral, image management and reporting system for the cardiology practice. Exploiting advanced web technology, ComPACS provides fast and secure access to your images, reports and clinical data anywhere, anytime. ComPACS is compatible with a wide set of devices and operating systems, ensuring access from your workstation, laptop, tablet or smartphone. ComPACS review stations and related modules are available in multiple licensing models, fixed and floating with different hybrid combinations. In the floating model, the system can be installed and used on any compatible PC in the hospital network but limited to a maximum number of simultaneous users. ComPACS is fully web enabled, capable of running as a stand-alone product or embedded in Microsoft Internet Explorer, with secure HTTP communication. The system can be either automatically deployed on first access or it can be silently installed with automated mechanisms, facilitating wide deployment and configuration. In compliance to the hospital's security policy, ComPACS Web Workstation can support review and reporting functionality also outside of the hospital network, with dynamic, user selectable, image compression to adapt to the available bandwidth. Diagnostic image review, analysis and reporting is possible from Microsoft Windows based PCs. In addition ComPACS provides image and report review from tablets and smartphones on iOS, Android and Windows based devices.